See the “Power of many, working for all” firsthand! 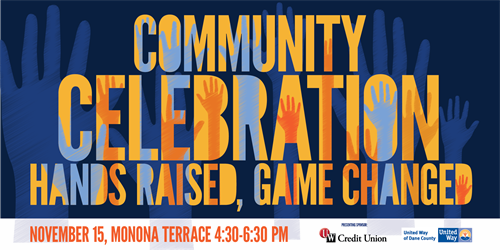 Join us for networking, hors d’oeuvres and cash bar, and to learn about the impact YOU make in Dane County. This year’s program will feature a look back at the successes of the Year of Transformation and a celebration of all that we have accomplished, together.